Stefano and I went to make our first delivery to legendary Nobu restaurant on 57th streed in NYC and had a lovely chat with its amazing pastry chef, Gabriele Riva (left in the picture, with Stefano). So young and so accomplished, already! How is it possible? Gabriele started when he was a kid. Instead of playing with his friends, when not in school, he preferred to play with flour, eggs, and water; he would help his father, also a pastry chef, in his bakery in Milano. It must be in the genes! He knew right away what his future would be. He attended the best culinary school in Italy and learned from best pastry chefs, including Luigi Biasetto. 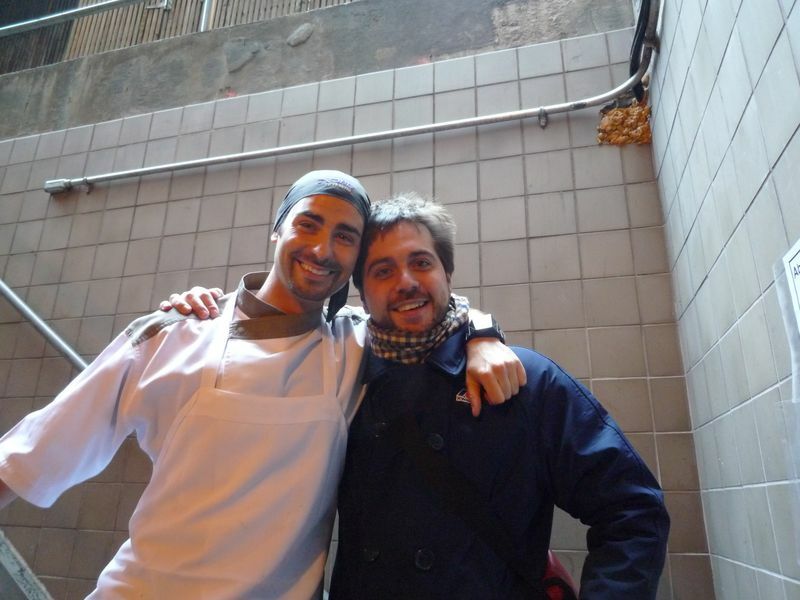 Then, he started to work and see the world: Spain, France, back to Italy and then London, when he started to work at Nobu. At Nobu, they saw Gabriele’s potential immediately and transferred him to NY, where he oversees the dessert menu at their three restaurants plus the one in Los Angeles. Not only! Gabriele is a real celebrity! He even went to Martha Stewart who gave him an adorable and long interview (long because Gabriele showed her how to make Panettone – which takes forever). You can watch it here! Gabriele’s mantra is: simplicity and best ingredients. That’s how and why we met! 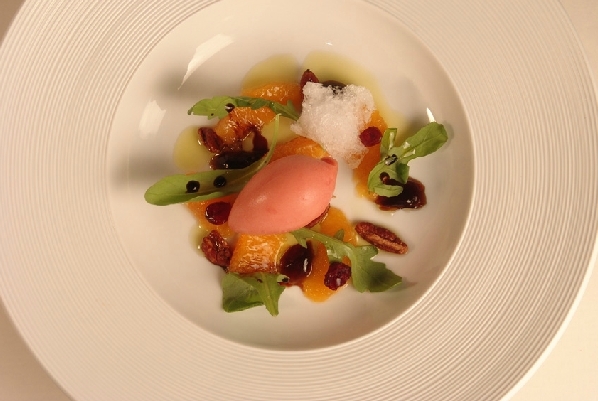 Gabriele uses our Pianogrillo EV Olive Oil in many of his creations, in particular his signature dessert: Equilibrium. Go to Nobu, eat great food and make sure you leave room for dessert. You are in for a treat! Previous Post Pasta Latini – Say Good Bye to the Legendary Red Box, Please Welcome the White!!! Pianogrillo is also my favourite olive oil, actually, I am in love with the fruitiness of this super oil! This is what I mean when I want “Futtato”! I haven’t tasted an olive oil THAT FRUITY like the Pianogrilla in several years! o Yes the Pianogrillo is unique, when you try it, immediately you can recognize the taste of the green tomatoes and very characteristic middle fruity, marvelous Sicily evoo!